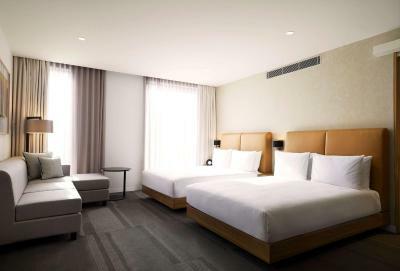 Lock in a great price for Hyatt Place Melbourne, Essendon Fields – rated 8.8 by recent guests! Like the friendly staff and helping. Cleanliness, lobby, airport transfer. Food was excellant. Close to airport but quiet inside, and they offer an airport shuttle. 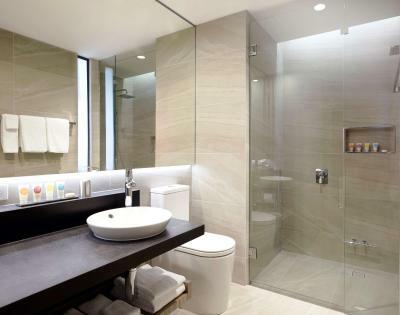 The hotel is modern and the rooms and bathrooms nicely designed. They have a restaurant and bar attached that is hopping on a Friday night. Airport shuttle on the hour and city tram within blocks. Beautiful new hotel. The area is close to airport but there are nice sidewalks for walking around the area. They were so nice to let us checkin at 11 am. Convenient restaurant and bar attached to hotel. Very comfortable bed and quiet room. Good breakfast. Great breakfast all fresh some cooked to order, make your own lattes or other coffees. Room was lovely, bed comfy, free WI-FI valued, heating was good. Staff welcoming, shuttle bus was AWESOME and overall service was great :) We had menulog deliver food and it was absolutely delicious and worth the $3. 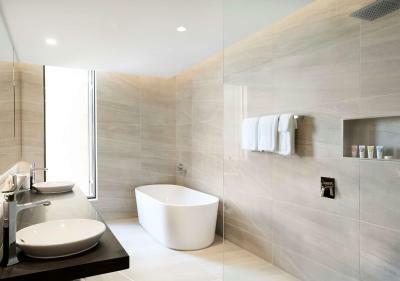 Hyatt Place Melbourne, Essendon Fields This rating is a reflection of how the property compares to the industry standard when it comes to price, facilities and services available. It's based on a self-evaluation by the property. Use this rating to help choose your stay! 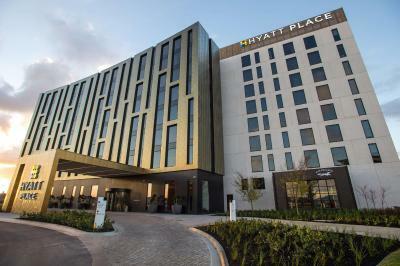 One of our top picks in Melbourne.Conveniently located just 10 minutes' drive from Melbourne Airport, Hyatt Place Melbourne, Essendon Fields features free airport transfers and 24/7 check in. Guests also enjoy free WiFi, a 24-hour fitness center and nonsmoking accommodations with Hyatt Grand Beds and 47-inch flat-screen TV's. 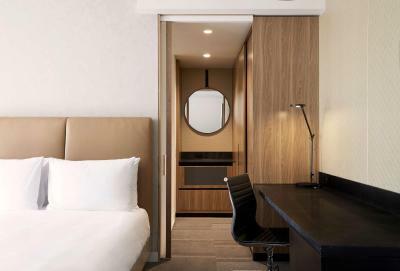 Hyatt Place Melbourne, Essendon Fields is just 20 minutes’ drive from Melbourne CBD, steps from Essendon Fields Airport and a 2-minute walk from the city-bound tram. The adjoining restaurant and bar Mr McCracken specializes in modern, seasonal food and cocktails in a vibrant atmosphere. 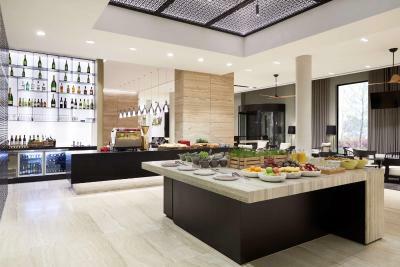 Hyatt Place Melbourne, Essendon Fields has meeting facilities catering for 2-30 guests. 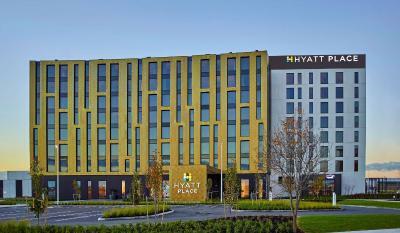 For larger functions and conferences, the neighboring Hyatt Place Events Center can accommodate up to 1,700 people. The property also offers affordable onsite short-term and long-term airport parking. This property is also rated for the best value in Melbourne! Guests are getting more for their money when compared to other properties in this city. 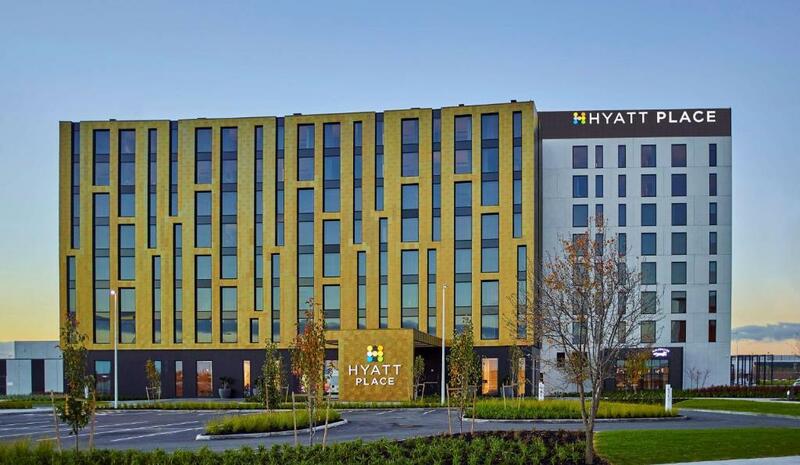 When would you like to stay at Hyatt Place Melbourne, Essendon Fields? This room features sophisticated furnishings. It includes a king-size bed, a sofa bed, work desk, free WiFi, walk-in shower and in-room safe. Private parking is available on site (reservation is not possible) and costs AUD 10 per day. This room features sophisticated furnishings. 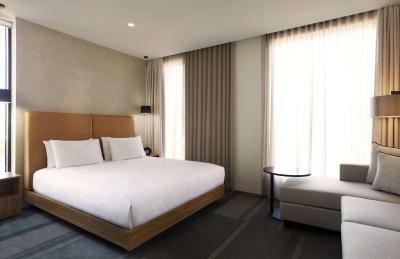 It includes 2 queen-size beds, a sofa bed, work desk, free WiFi, walk-in shower, free standing bath and in-room safe. This room features sophisticated furnishings with mountain views. It includes a king-size bed, a sofa bed, work desk, free WiFi, walk-in shower and in-room safe. This room features sophisticated furnishings with mountain views. 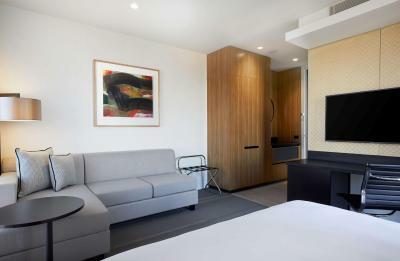 It includes 2 queen-size beds, a sofa bed, work desk, free WiFi, walk-in shower, free standing bath and in-room safe. This room features sophisticated furnishings with city views. It includes a king-size bed, a sofa bed, work desk, free WiFi, walk-in shower and in-room safe. This room features sophisticated furnishings with city views. It includes 2 queen-size beds, a sofa bed, work desk, free WiFi, and walk-in shower with free standing bath and in-room safe. 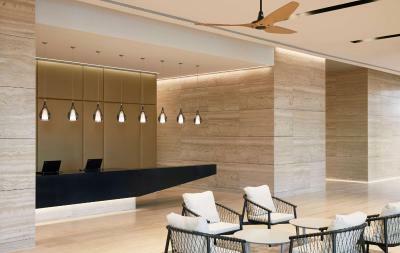 House Rules Hyatt Place Melbourne, Essendon Fields takes special requests – add in the next step! Hyatt Place Melbourne, Essendon Fields accepts these cards and reserves the right to temporarily hold an amount prior to arrival. Please note the property requires a AUD $200 credit card pre-authorization upon check in to cover any incidental charges. The parking should be free for hotel guests. There is plenty of it and considering the price of a basic room it shouldn't cost additional in parking to stay there. Every thing was convenient. 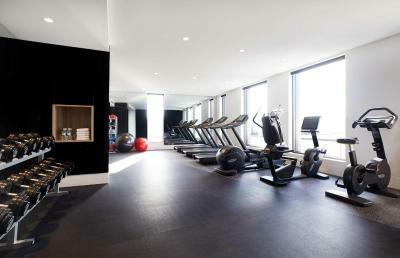 I didn't have to leave the hotel for food, a gym or for a good meeting place with friends or business. They also serve my favorite coffee in the cafe so I know where I will stay next time. This is a great place to stay if you need to be at the airport in the early morning. It's clean, comfortable and great value! It’s nice place to stay, very clean & tidy. Not Hyatt’s fault but people and hygiene and use of the breakfast included. Blergh. We usually go to La Manna across the road. Finally a checkin process as it should be! I wish I had taken more notice of his name! It was close to midnight but we were checked in quickly. reception billed me twice. took the amount plus $50 deposit fee night before then billed me for the full bill again next morning. Location for flight out of Essendon was perfect. Everything, was comfortable, clean and staff were friendly and efficient, breakfast was delicious and hot, close to where we had to be and to shopping outlets, the best showers, truly modern luxury. There are no porters to help with luggage. excellent breakfast , friendly helpful chef and staff.